Mitsui would provide unlimited capital to allow me to create, develop and export the kinds of American products I felt would be most suitable for the Japanese market — capital I didn’t have at the time. Mitsui would give me access to their customer base in Japan — customers I didn’t have at the time. Mitsui would put me in touch with the distribution channels I needed to get my products to the customers — channels I did not have in place at the time. Mitsui would provide on-site after-sales service in Japan, which I couldn’t do because I wasn’t located there. Mitsui would share some of their other resources with me in case of need, or when a feasibility study on a specific business opportunity became necessary. Mitsui would support my business expansion in other parts of the world, since they have over 250 international branch offices. There was just one catch: What was I bringing to Mitsui? I couldn’t think of a darn thing. So I soul-searched and brainstormed and said, “Aha!” I could bring them ME, a wanna-be global marketer, a trained and seasoned American businesswoman with no end of chutzpah. Then I thought, big deal. You and a million others. It’s just as well that I got over this phase because it wasn’t a joint venture I needed. I needed to just dig in and do all the hard work I was trying to avoid, and keep building the business I had dreamed for so long of building. I was considering a joint venture for all the wrong reasons. Don’t fall into this trap. Had I formed the alliance with Mitsui, the disparity in the resources and expertise each party was able to contribute would have doomed us from the start. I realized it would be better to get back on track with my own business, tough it out, and begin to create strength in everything I did. That way, when the time came around again to consider forming a cross-border alliance with another company, I would have something truly impressive and valuable to bring to the table. Being a global marketer — never content with the obvious explanation when suspecting there’s more to it than that, never satisfied with one task when you know you could be managing the whole project, never happy with a project when you know you could very well manage an organization — it’s only a matter of time before you consider a cross-border alliance as a logical step in expanding your business. It’s not enough to expand domestically; that is not a global marketer’s core business. Your core business is the world. Up until now, you may have single-handedly cemented strategic alliances with a network of agents and distributors to maintain access to markets worldwide, but you find that this is no longer enough to remain competitive. Now you may feel that you’ve gotten about as far as you can on your own, and you want to explore alternatives for kicking your international business into high gear. You’re prepared to exchange a limited measure of creative control if it will get you established in highly lucrative new business territories. If you’ve reached that point in charting your export strategy, it’s a good time to consider joining forces with another company of similar size and market presence that is located in a foreign country where you are already doing business, or would like to. First, it’s important to understand exactly how a cross-border alliance works, and what it can and cannot do for you. A cross-border alliance is usually established when a company wishes to edge into a related business or new geographic market — particularly one where the government prohibits imports in order to protect domestic industry. Typically, alliances are formed between two or more corporations, each based in their home country, for a specified period of time. Their purpose is to share in ownership of a newly formed venture and maximize competitive advantages in their combined territories. The cost of a cross-border alliance is usually shared equitably among the corporations involved, and is generally the least expensive way for all concerned to form a partnership. An acquisition, on the other hand, offers a faster start in exploiting an overseas market, but tends to be a much more expensive undertaking for the acquiring company — one that is likely to be well out of the reach of a solo operator. While a cross-border alliance works well for core business expansion and utilizing existing geographic markets, an acquisition works better for immediate penetration to new geographic territories. Hence, an alliance provides a good solution to global marketers that lack required distribution to get into overseas markets. A cross-border alliance is also much more flexible than an acquisition with respect to the degree of control enjoyed by each party. Depending on your resources, you can structure an equity or non-equity partnership. 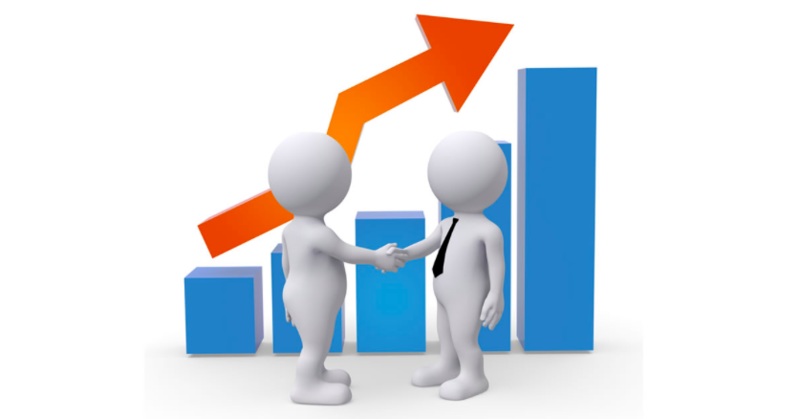 Within an equity partnership, you can hold a minority, majority or equal stake. In a non-equity partnership, the host country partner has a greater stake in the deal, and thus holds a majority interest. Yet whom you choose as your partner is arguably more important than how the partnership is structured. For when it gets down to business, you want a partner who will have an active contribution to make, and who is flexible and able to resolve conflicts as the alliance evolves. Even more important, however, is that you keep clearly in mind what you are seeking to gain from the alliance, and that you choose a partner whose contribution will enable you to achieve those goals. Up next: Where should global marketers look for partners? ©1998 and 2018 Laurel J. Delaney. All rights reserved. 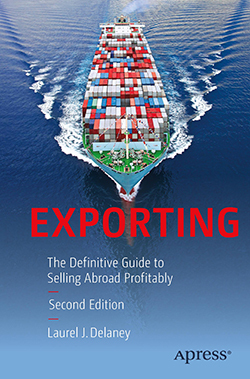 For a look at Laurel’s most recent exporting book, visit here.